The company behind McVities biscuits is turning to SAP's next generation S/4HANA Cloud ERP system to help the newly formed conglomerate move beyond paper-based, manual business processes and to create efficiencies in its supply chain. You may have never heard of Pladis - the company created in 2016 when Turkish company Yildiz Holding brought together United Biscuits, Ulker, Godiva Chocolatier and DeMet's Candy Company - but you will have heard of its brands, namely: McVities biscuits and Godiva chocolates. The company has annual revenues of more than US$5 billion. S/4HANA Cloud is SAP's public cloud version for running its next generation enterprise resource planning (ERP) system. The system runs on the SAP Cloud Platform, which is infrastructure agnostic, with Pladis choosing to run the system in SAP data centres instead of with Amazon Web Service (AWS), Microsoft Azure or Google Cloud Platform. As the system is run using SAP's in-memory HANA data store, and across a distributed public cloud infrastructure, the promise is for better real time data availability across an entire business, something that would naturally be attractive to a newly formed global conglomerate looking to modernise its business processes. Anthoula Madden, chief digital officer at Pladis Global has only been at the young company for a year and has been tasked with developing a digital strategy executing it quickly. The first step was more cultural than technical however; taking a team of executives on a trip to Silicon Valley to show them the impact modern enterprise technology could have on their business. In terms of executing on this strategy the first thing was getting an ERP solution in. "I had to explain that core ERP isn't the differentiator, it is a must-have," Madden told Computerworld UK. "The real game changer is how we interact with customers." Now, as part of a broad modernisation plan at the global company, Pladis has rolled out S/4HANA Cloud for employees across its North America region, ahead of a planned global rollout. Plaids opted for S/4HANA Cloud in October 2017 and went live in the first region in May this year. 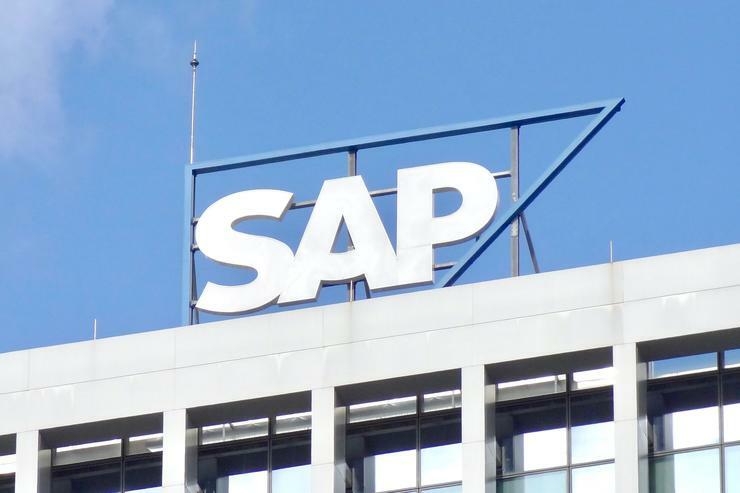 Madden says SAP's cloud product stood out because it would allow the business to get up and running as quickly as possible with a modern ERP system. While some business units were familiar with SAP technology, although in old on-premise versions, many markets continue to use Excel spreadsheets or JD Edwards systems for planning, with many "looking like an 80s business" with "lots of paper", Madden said. Naturally these units are not linked up in any meaningful way. The benefits of getting this core ERP system in place are typically wide ranging, but tend to boil down to access to real time business insights. As Madden puts it: "We now have real time brand PnL [profit and loss]. We have changed the business model to be much more brand and consumer centric. "We can look at real time data and see our top customers, channels, volumes, top sales guys, where to focus our strategy in the US and where demand is, so it has been a complete revolution." Naturally there have been some teething issues, starting with data quality and integration, all the way through to change management. "Overall the business was positive about the implementation," Madden said. Staff that had joined the company from Nestle, for example, were familiar with SAP's ERP system, despite being initially "shocked by how rudimental things were to start". It has been rolled out to 70 users across finance, sales and supply chain so far, who are responsible for over $250 million worth of business. S/4HANA Cloud pricing starts at $220 (£160) per user per month. "There were some frustrations and there is that change management piece, and we try to explain that there needs to be some type of discipline around the system now, but overall at eight weeks in things are positive," Madden said. "Finance is completely on board and the whole supply chain organisation is in learning mode but still positive and can see the value of real time reporting." The key for Pladis is to create a more reactive culture where people across the supply chain can make quick decisions based on real time information. "We had a lot of obsolete stuff in warehouses, we didn't buy in the most effective way," she admits. "We used to panic when we ran out of product and had things shipped to us, so any margins were eroded by transportation costs. "Now we can plan depending on lead times to understand how the end-to-end supply chain works to optimise margins and operations." Once the teething issues have been ironed out in North America the plan is to roll S/4HANA Cloud to China and Australia within six months, then some emerging markets and finally core markets in Turkey and the UK. Then Madden would like to start leveraging some of the smarter, machine learning-enabled features available in S/4HANA Cloud. "Of course we would love to leverage machine learning, but we need to get it embedded and create this new normal way of working," she said. "The next step would be predictive analytics and machine learning to automate [some processes]." Melissa Di Donato, chief operations officer, SAP Digital Core admits that Pladis is something of an outlier when it comes to S/4HANA customers, in that it operated in a traditional industry which doesn't tend to have much of an appetite for public cloud solutions. "We hugely value her," Di Donato said. "She literally embodies the vision of what we hope our customers will have, but she is still an anomaly and many other traditional companies just aren't there yet, but there are a lot more than six months ago and that will only increase."